Stay away from the bustling atmosphere of the city, places with peaceful and romantic beauty can let your soul be relaxed and forget the worries of life in a contemporary period of time. 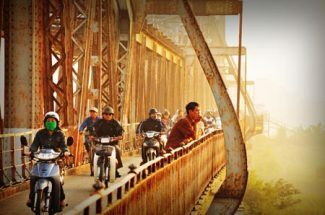 For visitors who want to take poetic photographs and have a meaningful memory when traveling to Hanoi, the following destinations should not be missed. 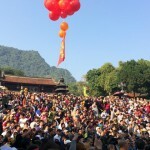 Located on Au Co Street of Tay Ho District, not only in the New Year holiday when spring comes Nhat Tan flower garden attracts many visitors to take pictures and admire the immense garden of colorful flowers, but also in any day of the year, this place is also one of the most beautiful places to take photos, especially for young people. 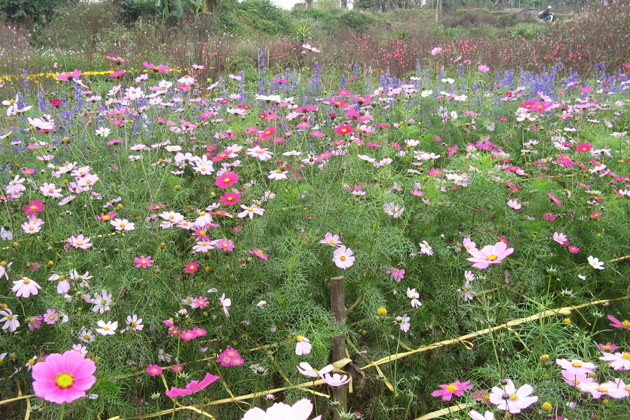 The flowers at Nhat Tan flower garden bloom all year round. Visitors can come here to capture fascinating pictures with various kinds of flowers from globe amaranth, sunflowers, pansies, and so on. 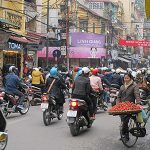 Not all parts of the city are noisy, boisterous, there are still moments of quietness and peace to feel the unique beauty of Hanoi on the falling leaf streets including Hoang Dieu, Dien Bien Phu, and Kim Ma. 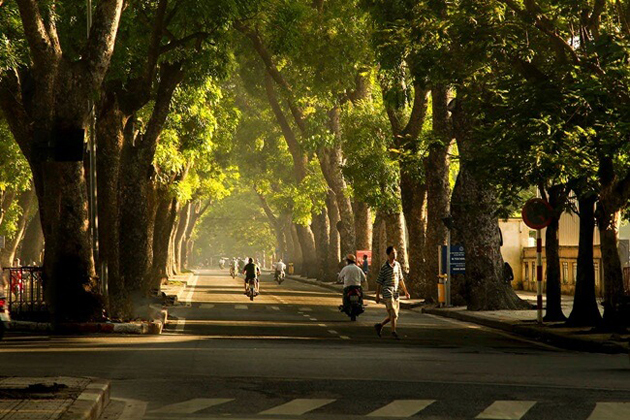 The famous beautiful roads in Hanoi with long rows of trees create a calm and fresh air. In Kim Ma Street, a unique feature is that the rows of trees change their color in each season. In spring, roads are covered with red buds of the plants Lagerstroemia floribunda. In summer, cool green lawns become more brilliant in the sunshine. In autumn, red leaves fall on green grass and winter is filled with deciduous trees. 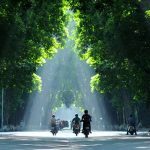 Or, you can take photographs at Phan Dinh Phung street with one of the widest sidewalks in Hanoi consisting of many rows of Dracontomelon trees as well as the ranges of houses built in ancient architecture. 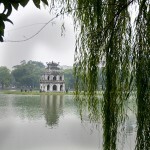 All will be a wonderful scenery for you to feel a peaceful and close Hanoi. 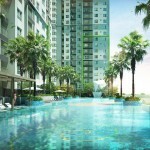 Located at the end of To Ngoc Van Street in Tay Ho District. Lotus pond in West Lake is an ideal place to blend with nature in every season of blooming lotuses. 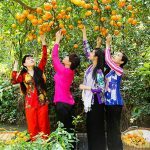 Here, visitors can try taking pictures in the traditional custom of Vietnam – Ao dai, save for yourself the beautiful memories when visiting the beautiful country, Vietnam. 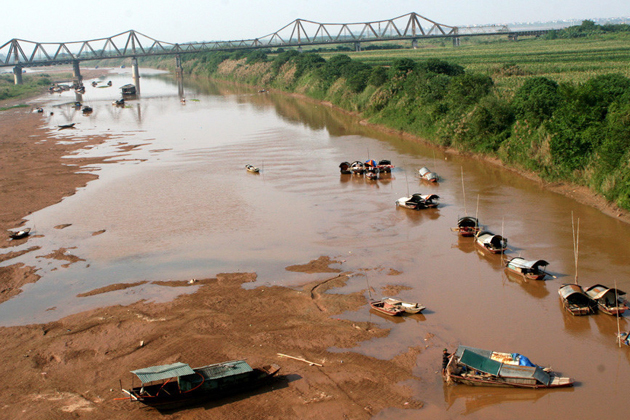 Travel to Red River, tourists can visit the extensive beach located on the banks of the Red River. Wide sandy beaches is a suitable place to take pictures to record the most beautiful moments here with hanging chairs, swings, wooden bridge … or visiting the middle land in Red River favored by nature with sandy beaches stretching along with the white fields of reeds swaying gently in the wind, the green rows of bananas on the sidelines creating rustic, pristine but peaceful feeling. 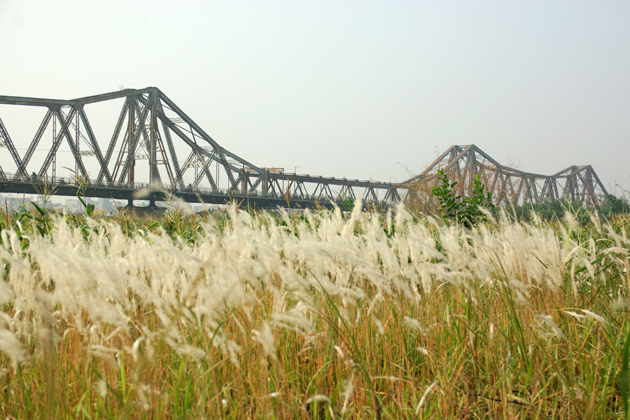 Long Bien Bridge is a witness of history, connecting the bustle and hustle of the city with the idyllic life of the people along the Red River. 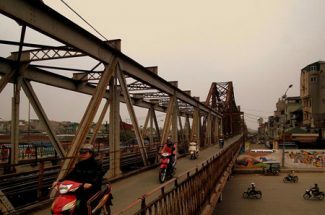 For a long time, Long Bien Bridge has become a distinctive feature of Hanoi and also a favorite destination of many people who want to keep the beautiful photos on this historic bridge. Morning in Long Bien Bridge looms in the dim mist behind the middle land of Red River, the afternoon carries quiet and ancient beauty. Standing on this place and looking at another Hanoi with peace and truth will give visitors a fresh feeling and relaxation in mind. 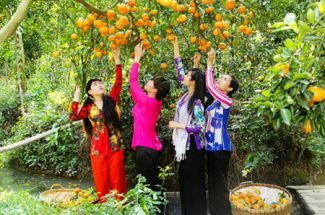 Situated on the territory of Tu Liem District, Ha Noi, Tay Tuu flower village is known to be the largest flower village in Hanoi. 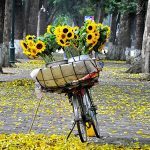 This place is a nice place in Hanoi famous for vast fields with various types of picturesque flowers such as roses, daisies, lilies … Visitors can delight in shooting without charge. 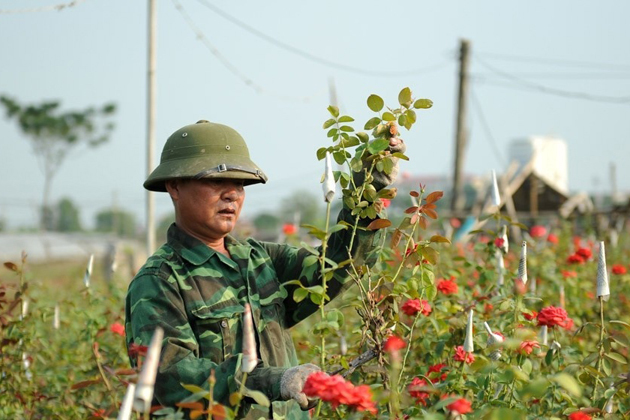 Travel to Tay Tuu flower village, you will be immersed in a fragrant atmosphere, colorful scene of countless flowers. 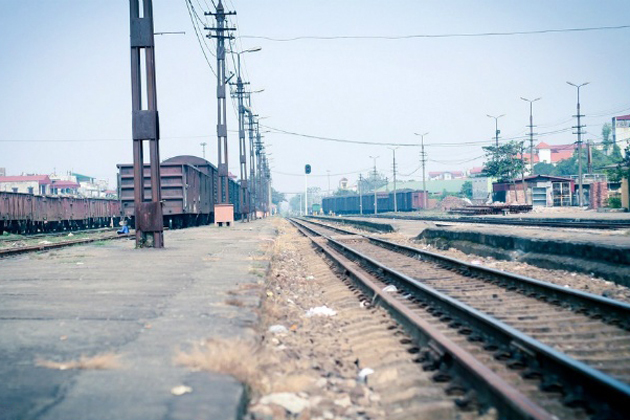 Just about 15km away from the center of Hanoi, Yen Vien Station is a beautiful photography shot outside Hanoi. 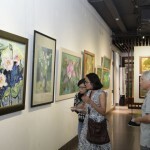 With more than 100-year history, it offers a full classical beauty mixing with the style of the Hanoi under French colonial power. Featured here are the interconnected carriages, the long train tracks which create a pristine and rustic scenery. 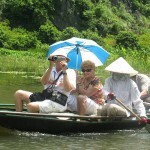 It will bring you great pictures with classical but also modern style as well as leave meaningful memories in your trip to Hanoi. 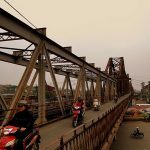 Logan garden at the foot of Vinh Tuy Bridge in the past few years has become a favorite place of many young people to take pictures. Over 500 Logan trees, as well as expansive and beautiful lawns, will surely give visitors a green space to capture great images in a peaceful natural scenery. 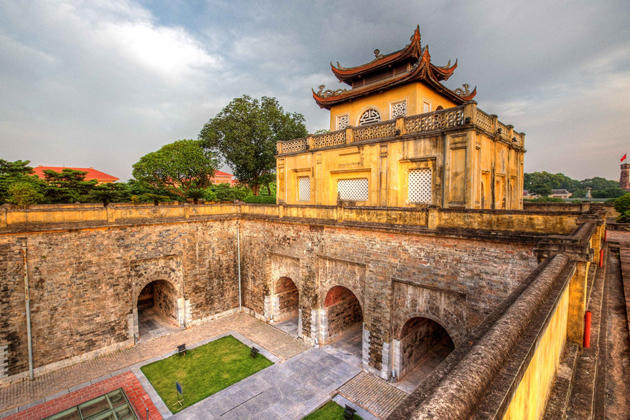 Situated on Hoang Dieu Street, although Thang Long Imperial Citadel does not have many outstanding points, however, it is a place to get creative inspiration for art to have beautiful and ancient pictures. 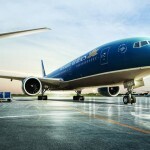 Surely this would be your ideal suggestion to get the most favored pictures. 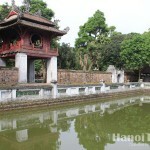 If you want to retain the quiet beauty and tenderness of Hanoi, the old quarter area is the most appropriate destination. Lakeside green scenery surroundings Sword Lake, with red The Huc Bridge, Turtle Tower standing out in the lake. 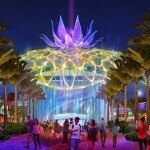 In addition, Hang Ma Street is always colorful with lanterns, Hang Vai with slats of bamboo creates unique shapes or old craft street will be a beautiful backdrop. When autumn comes, the Sword Lake carries a strange beauty, in the chilly autumn wind, people can feel the smell of dried fallen leaves mingling with the smell of water and earth. This time is when the mango-pine flowers bloom embellishing the lake atmosphere. 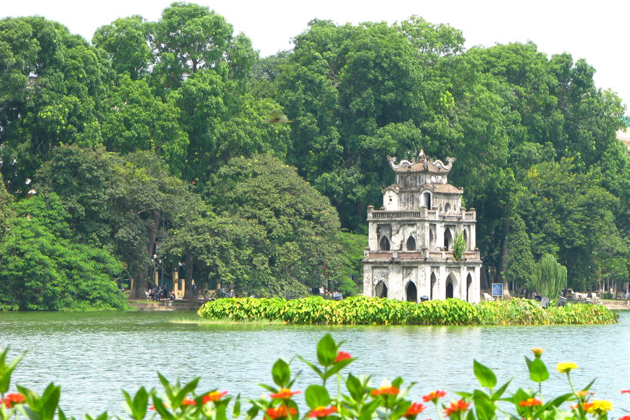 If you have an opportunity to visit Hanoi, take the time to visit these destinations, the photos of tranquil and ancient space but still carrying a modern appearance of Hanoi will become unforgettable memories for tourists.